Try all 5 varieties. A total of 80 pods. At Real Coffee, we focus on quality and sustainability, which unite in the perfect cup of coffee. 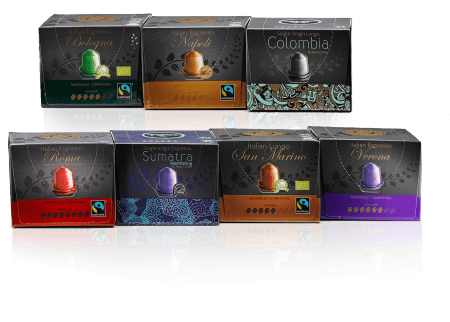 We offer a range of Fairtrade and organic coffees compatible with Nespresso®, using only the finest Arabica and premium grade Robusta beans. The result: award-winning ethical coffee capsules with quality you can taste! 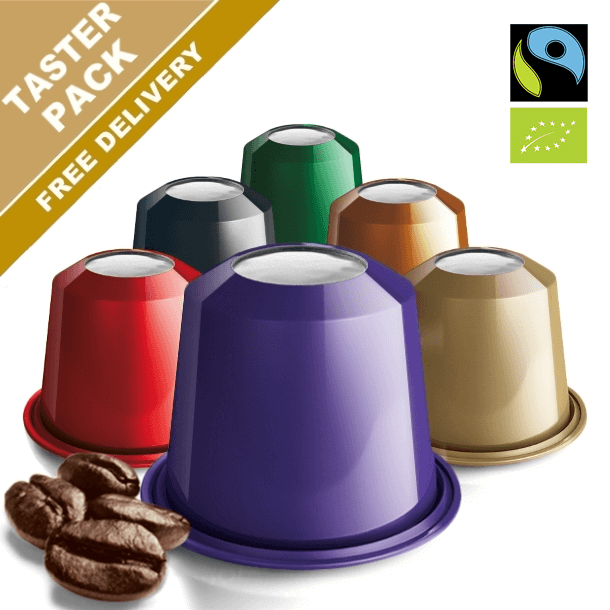 Our coffee has been rated #1 in taste tests conducted by several major independent magazines. In the UK Real Coffee has been recommended by Healthy Magazine, CoffeeBlog.co.uk and Thrive among others, and we now offer the same fantastic coffee in our Dolce Gusto® compatible capsules. We only use coffee matching the high quality that we are known for – delicious, strong and top grade coffee in Dolce Gusto® compatible capsules. Our milk capsules are produced using real milk, which gives a mellow, creamy flavour. There are no artificial additives – only pure milk powder and a dash of sugar. REAL COFFEE RECEIVES HIGH PRAISE! 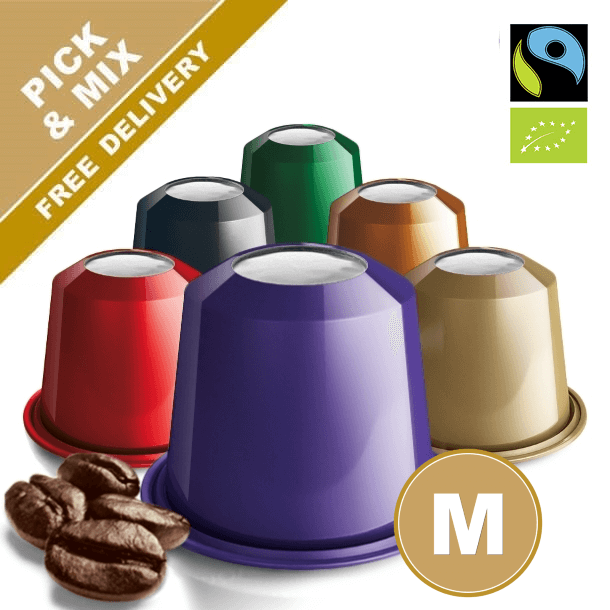 "Fairtrade and organic pods for Nespresso® that taste exactly how coffee is meant to taste." 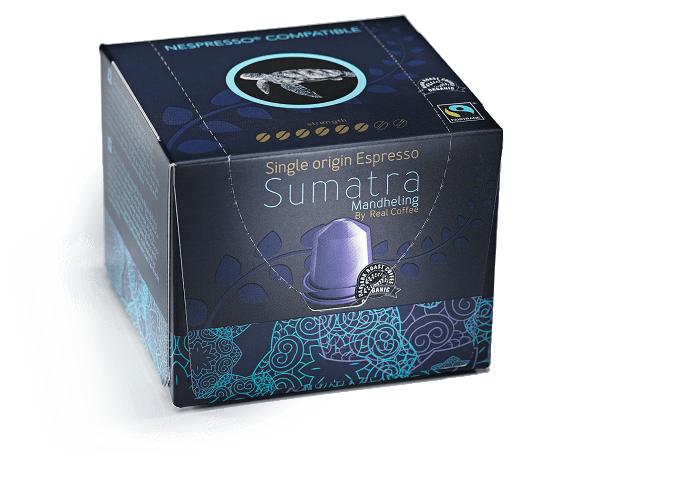 Joins us as we take a trip around the world and explore the taste of Espresso Sumatra - Mandailing, Lungo Colombia and Espresso Ethiopia. 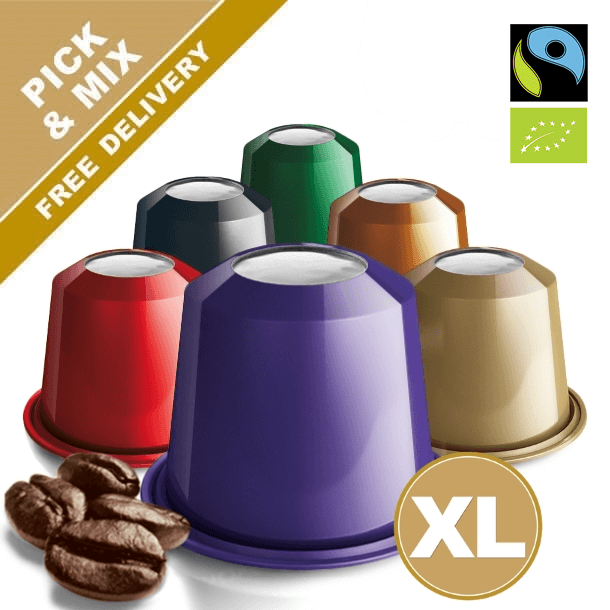 All varieties are cultivated by small independent coffee farmers on Fairtrade conditions. 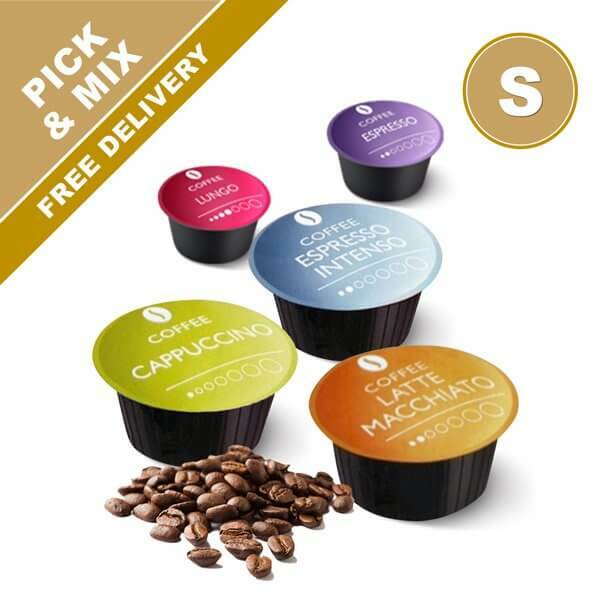 Explore our most popular varieties and discover your new favourite. We want to make your first experience shopping with us as quick and easy as possible. Try our convenient Small Pack with 100 Nespresso® compatible pods for just 26p per pod. Free delivery!